Raw & Nev got in touch in January to look for a photographer for their Farmhouse at Mackworth wedding. After meeting as two introverted teenagers whilst at Derby University back in the day they brought the best out of each and decided to travel this crazy life together for good. I visited Rae & Nev’s home in the morning to capture Nev and his groomsmen getting ready. It’s always fantastic visiting the couples home as you can get a real emotional connection into the back of your photographs. Filled with art and colourful toys for their beautiful daughter this home didn’t leave me short of ideas for photographing the details in the morning. After finishing up with the boys I headed to the outskirts of Derby to capture Rae and her friends. The Farmhouse at Mackworth is full of quirk. Imagine steam punk meets country sheek and you’re kind of there. Married beneath the floating books in the library and then down to the Folly for the after party. With a fantastic area lit by festoon lights and a fire pit the party wasn’t restricted to the indoors in this mild October wedding. When, myself, Rae, Nev and their daughter met for food and a drink at Bear Uttoxeter we spoke a lot about their personalisation of the wedding. I don’t think I was really prepared for the attack on the colour senses until I got there. Decorated with a colourful art deco vibe it was very them. My favourite decoration was the balloon filled dance floor. These sure made some interesting photographs in the evening. Getting married at 15:00 in front of just a small handful of friends and family really made the service super special. I felt so honoured to be amongst such a close knit group of people. When there are hundreds of guests it’s easy for me to get those candid shots as I’m not seen as much but when you’re one of say 25 it’s a little more obvious so I have to work so much harder to bring everyone to ease. I speak a lot to my couples about making their day, their day. I get asked a lot about what I would do when I get married. What’s right for me isn’t necessarily right for you. Rae & Nev got this completely they knew exactly how to transfer themselves over to the day. For example a table football area was always a prominent part of their house party life so they moved it into their wedding reception and it brought great fun and photographs to their collection. 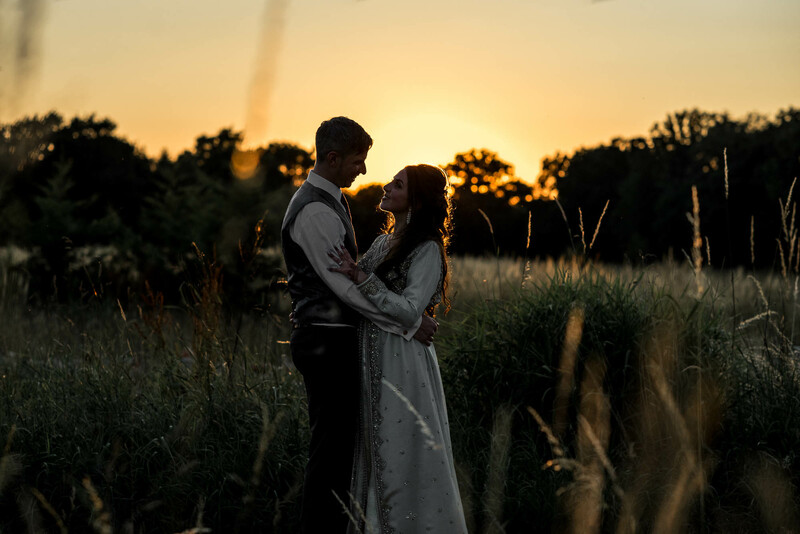 Looking for a Farmhouse at Mackworth Wedding Photographer? I’m a relaxed and informal Stoke-on-Trent wedding photographer who often ventures further afield including Staffordshire, Derbyshire, Cheshire, Shropshire and the rest of the UK. I don’t charge for my travel or accommodation as I love the look of different landscapes in my photographs. If you are interested in having me photograph your wedding whether it’s in Glossop or elsewhere then CLICK HERE to drop me an email about your day. If you’d like to hear a little bit more about me, my life and my sausage dog you can click here to find my about page.